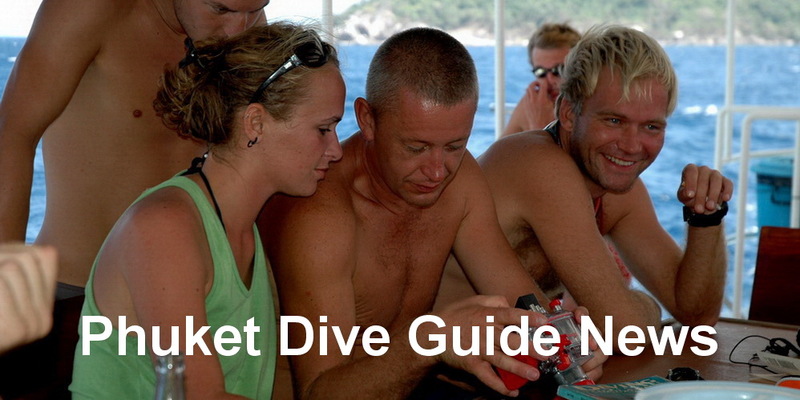 Before you're going diving around Phuket, take a tour around Phuket Dive Guide. 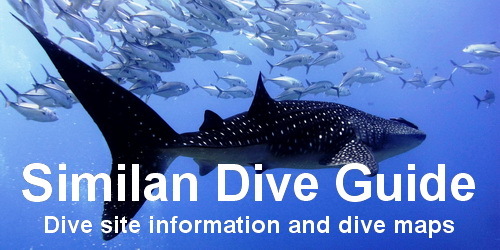 Here you find information about the dive sites and dive maps. Hin Muang and Hin Daeng are among the best steep wall dive sites in Thailand and certainly the best outside of the Similan Islands. These two world-class pinnacles are located 90 kilometres south of the Phi Phi Islands towards the border with Malaysia and are surrounded by deep water. Hin Muang lies just a few hundred meters west from Hin Daeng. 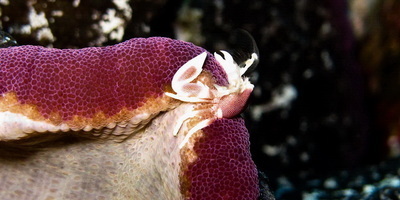 They are actually connected underwater, but the depth prohibits a dive between the two. Currents can sweep quite strongly over the ridge, but you can always dive on the sheltered side. 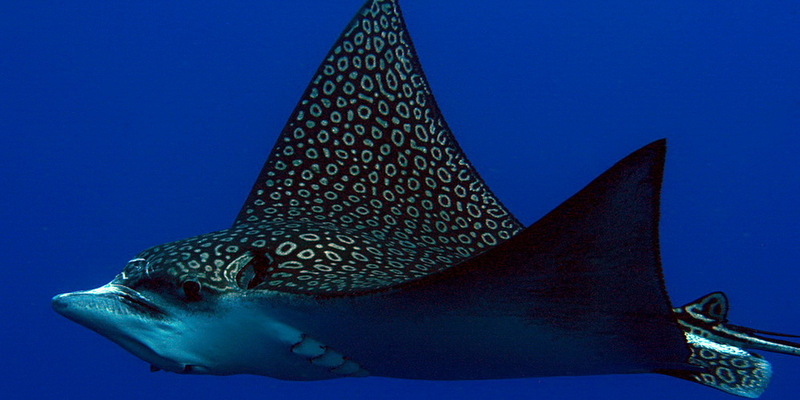 Manta rays and whale sharks are frequent visitors. To get to this remote area, a speedboat is able to make the journey in just 1.5 hours from Phi Phi Island compared to 4 hours for a big boat. 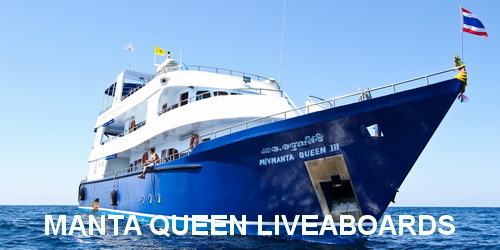 Another option is to take a liveaboard trip including sites in the Similans and Richelieu Rock or a trip, which focus mainly on diving the best southern dives sites around Phi Phi Island. 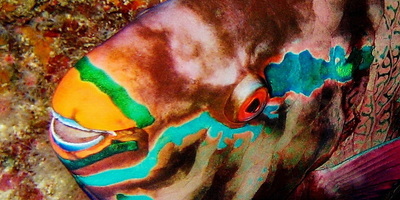 Nestled within the Koh Lanta National Park is one of the jewels of the Andaman Sea. 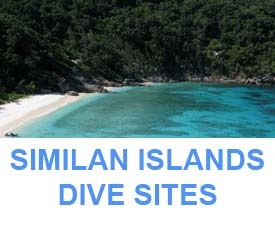 It is a collection of six islands – one large island Koh Haa Yai and its five smaller islands. Ko Haa, Thai for “five islands” lies between Phi Phi and Hin Daeng, close to Ko Lanta. 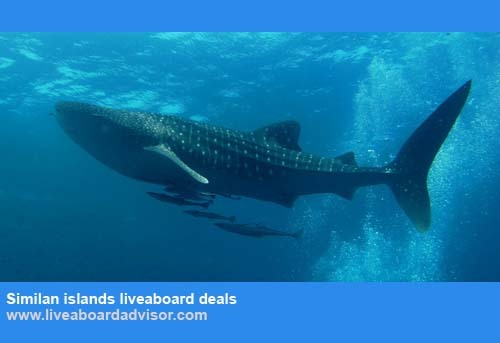 The 12+ dive sites at Ko Haa offer beautiful scuba diving and snorkelling with spectacular 25 m+ visibility, underwater pinnacles, drop-offs, walls, boulders and other caverns, inter-connected chambers and swim-throughs to explore. 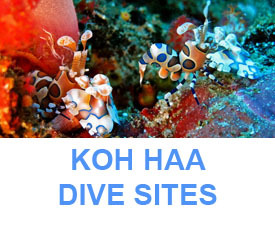 Ko Haa’s scuba diving highlights include the Lagoon, the Cathedrale and the Chimney. 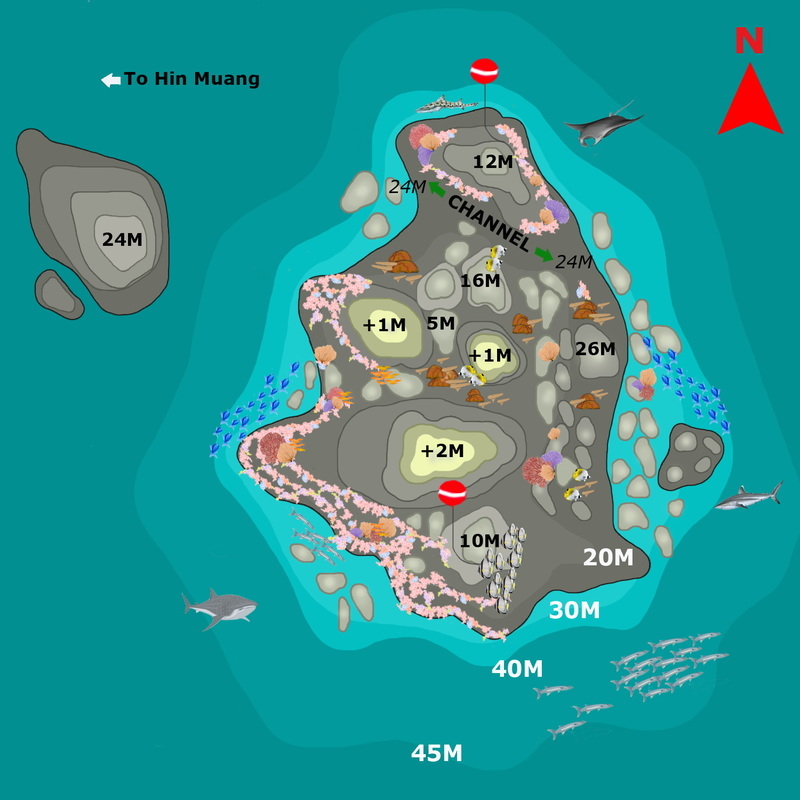 The two sister-islands of Ko Rok are known as Ko Rok Nok and Ko Rok Nai, which means the inner and the outer island. Both islands are located within the Mu koh Lanta National Marine Park, 25 kilometres south of Koh Ha. They are named after a small fury animal (Rok) that can be found on these islands. Giant Monitor lizards, often over 1 metre in length, have also made their home here along with thousands of hermit crabs. Both uninhabited islands are 100% National Park land so there has been no development or roads here. The National Park headquarters and a campground are on the south side of Koh Rok Nai. 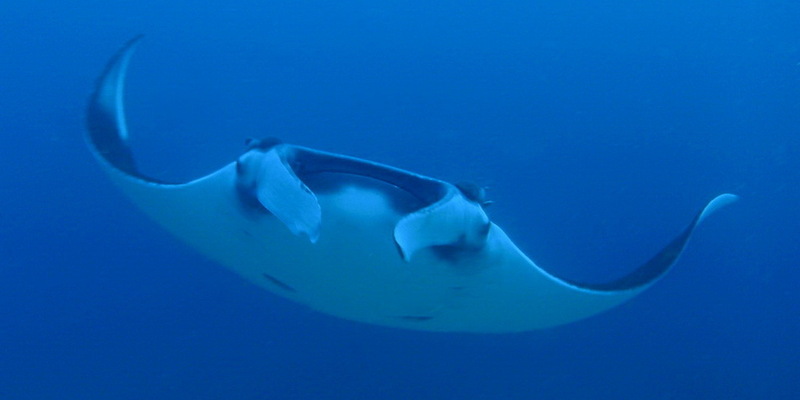 The Southern Islands are located in the Trang National Marine Park, 1-2 hours south of Ko Lanta and include Ko Mook, Ko Kradan, Ko Ngai, Ko Cheuak, Ko Wean, and Ko Maa. This group of 6 islands provides some of the most stunning coastal scenery in the area, with the Emerald Cave - a secret lagoon hidden inside the island of Ko Mook - as the top highlight in the Trang area. The island of Ko Kradan is far enough off the beaten track to remain ‘untouched’ and the coral and marine life here is in impeccable condition. San Chompuo ‘Pink Ridge’ is a very different dive to the other sites and has many kinds of coral, starfish, and seahorses not found at our other sites. 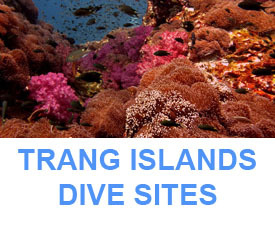 The unpopulated limestone islands Ko Ngai, Ko Cheuak, Ko Waen and Ko Maa have no beaches but the surrounding rocks and reef systems offer some of the good diving. 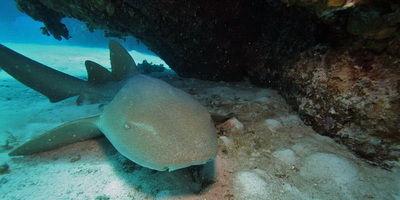 The Southern Islands offer sheltered diving that can be a good alternative if the sea conditions are too choppy to reach Ko Haa. The archipelago of 51 islands of the Koh Tarutao Marine National Park in Southern Thailand lies about 55 km northwest of Langkawi and 180 km south of Phuket. 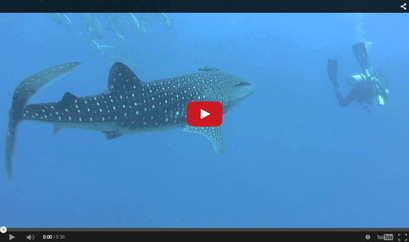 Koh Tarutao National Marine Park was formed in1974 and is Thailand’s oldest national park. 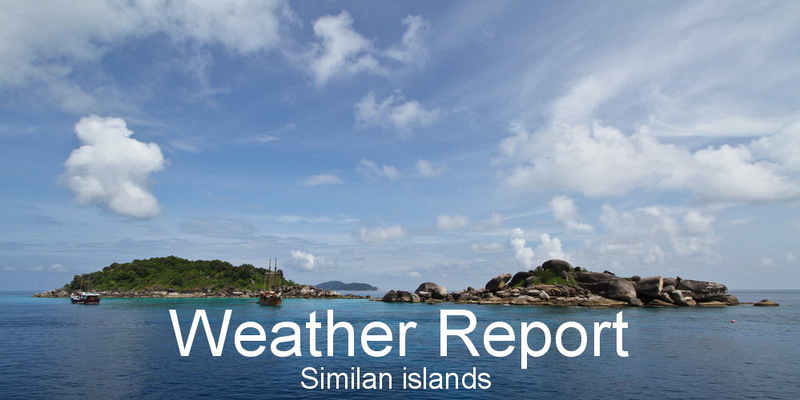 The archipelago consists of several groups of islands around Koh Tarutao, Koh Adang, Koh Rawi, Koh Lipeh, Koh Tong, Hin Ngam, Koh Yang, and Koh Bitsi. Sometimes they are also referred to as the Butang Group. 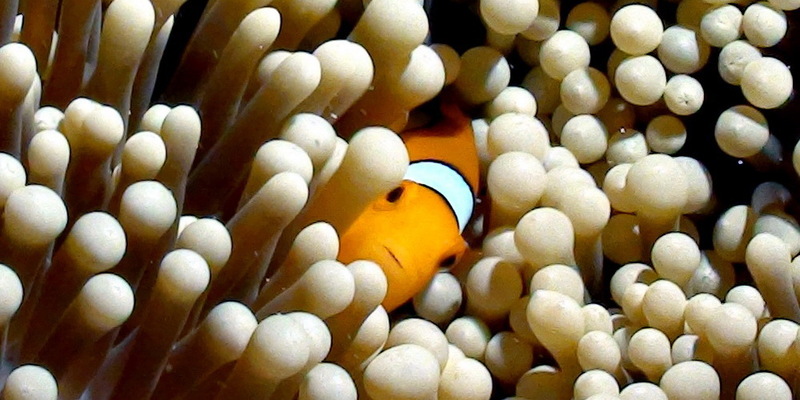 These islands are still largely unknown to tourists. However, the underwater world around these islands is some of the best diving and snorkeling spots in Thailand. 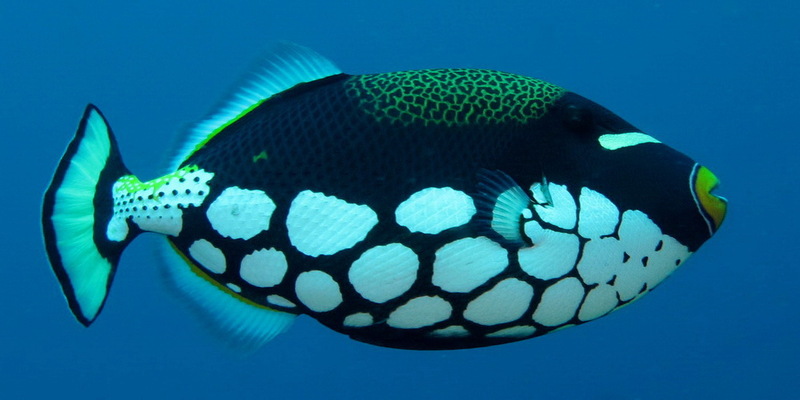 Clear waters support rich coral reefs, lobsters, and around 25% of the world's tropical fish species, including lionfish, angelfish, butterflyfish, groupers, trumpetfish and others. Dolphin encounters are common and rare dugong encounters are possible too. 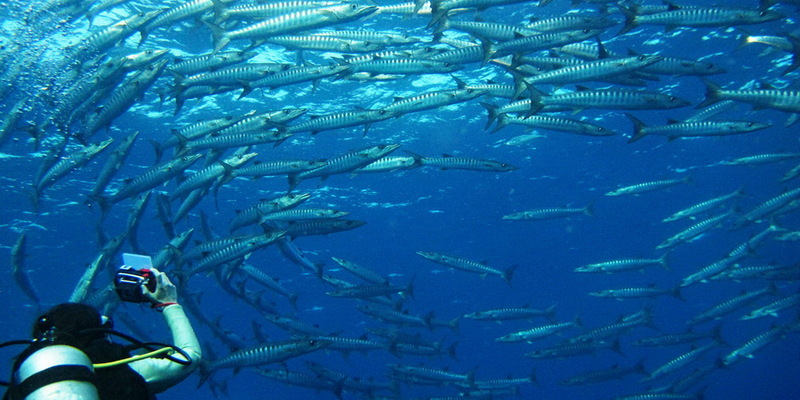 Koh Bida Nok, Koh Bida Nai, and Hin Bida are collectively known as the Bida’s. 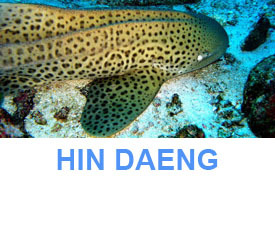 Hin means rock, and is usually used to describe a submerged reef. 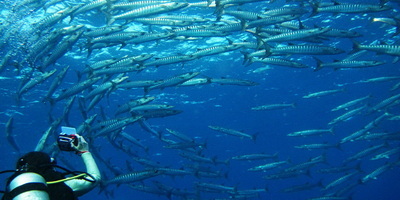 Bida Nok and Bida Nai are located only 2 kilometres South of Phi Phi Leh. 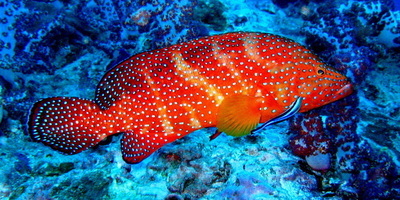 Both limestone islands, with their outstanding steep walls from 8-28m, are known to be some of the best dive sites of Koh Phi Phi due to the abundance and variety of fish. The shallow reefs are covered with colourful soft corals mixed with hard coral where moray eels, ghost pipefish and scorpion fish hide. 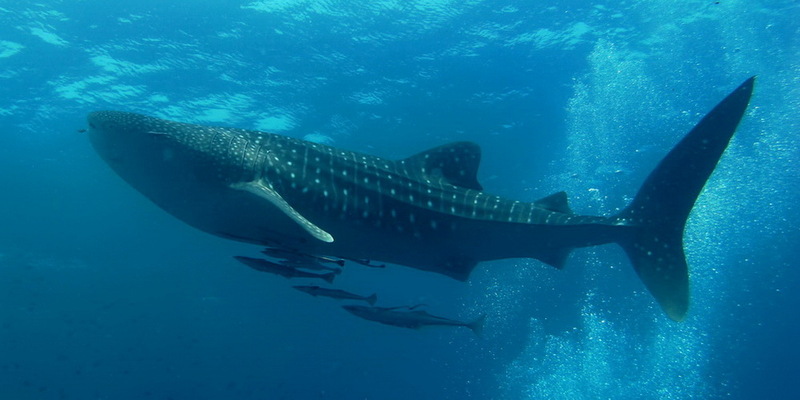 Banded sea snakes, turtles and leopard sharks and on occasion whale sharks have been known to visit. In addition, Bida Nai has overhangs, caves and a beautiful archway filled with tiny baitfish, which leads to a shallow hard coral garden. Bida Nok has several swim-throughs of the west side where you find a complex jumble of giant boulders. 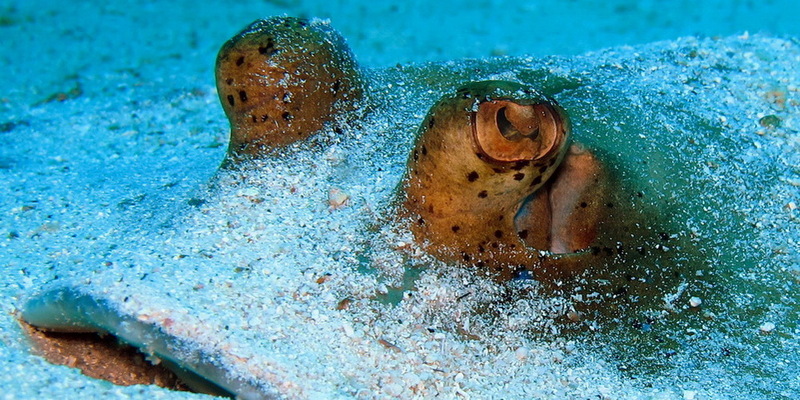 The limestone-sisters at Phi Phi Islands are not to be missed. 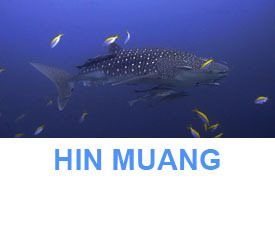 Hin Bida lies 8 kilometres further east and is known as Phi Phi Shark Point. 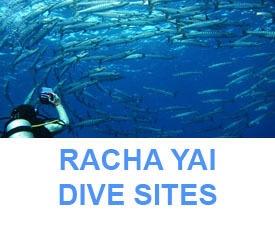 Racha Noi, just 50 minutes south of Racha Yai, has several dive sites around this small island. 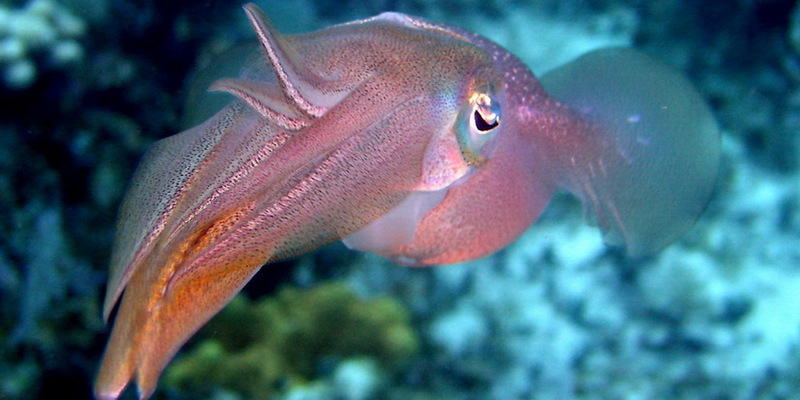 With greater depths at some locations exceeding 80 metres and frequent stronger currents, it is a popular dive-site for experienced divers to explore. Although some bays are also very ideal for beginners. Racha Noi has become famous for its resident manta rays at several dive sites Manta sightings are the best from December to April, when ocean currents and winds create the ideal feeding and cleaning grounds for these majestic animals. 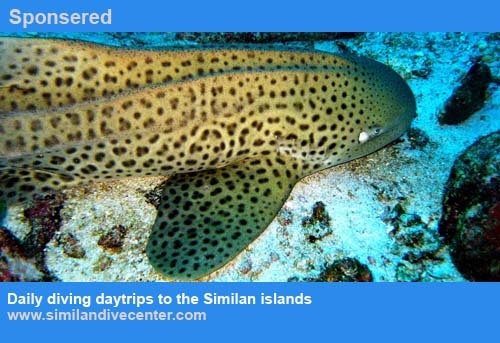 The northern tip of the island offers an opportunity for a good multilevel dive along a large pinnacle where spotting larger marine life like reef sharks and stingrays is common. Off the southern point is a nice drift dive along some spectacular scenery as you find yourself on top of large rock formations surrounded by deep water. On the southwest side, a wooden shipwreck draws a lot of interesting reef fish. 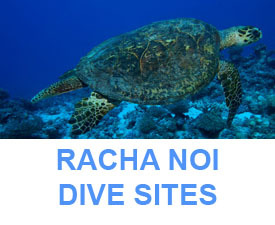 Racha Noi offers many opportunities for an enjoyable and rewarding deep-dive. 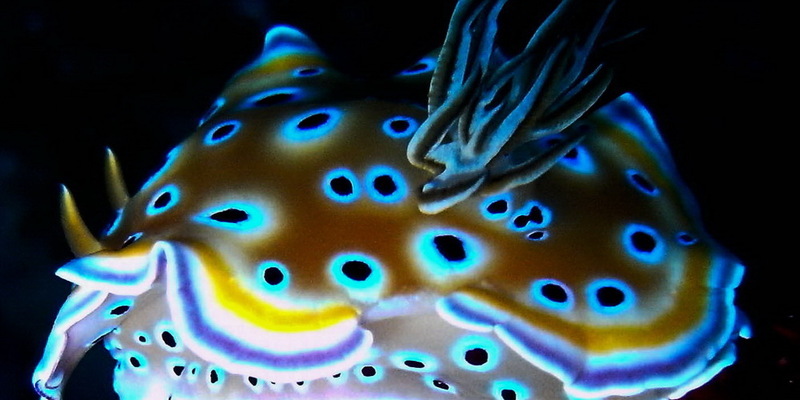 It is probably not as famous as some other sites such as Anemone Reef or Shark Point, but it never disappoints. Hin Dot or "Chimney Rock" is located southwest just outside Tonsai Bay, which is the main harbour in the Phi Phi Islands, on the south side of Phi Phi Don. As the entry and exit point to this dive is near Phi Phi's main harbor, which has a lot of boat traffic, it is recommended to carry a safety balloon. 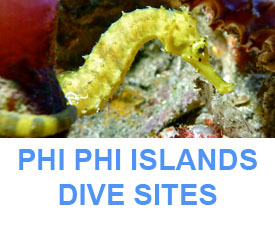 Phi Phi Leh, the second largest of the Phi Phi archipelago is extremely beautiful, and near pristine. 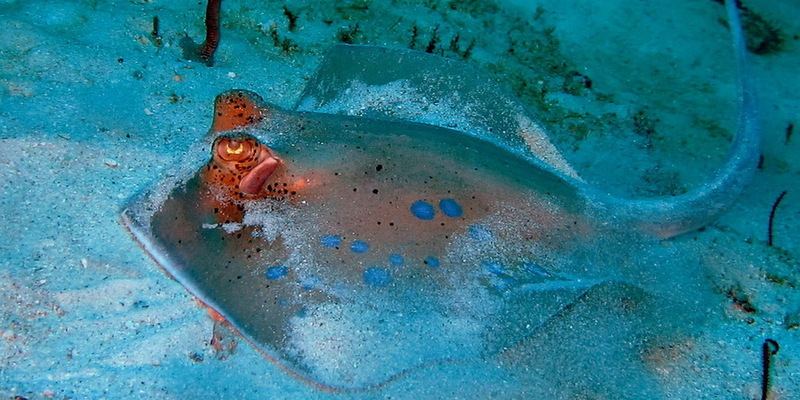 It lies 1.5km off the southernmost tip of Phi Phi Don.It is uninhabited apart by a few rangers established in a small camp belonging to the Hat Nopharat Thara-Mu Koh Phi Phi National Park. The island hosts only one beach situated in Maya Bay that became world-famous after the release in 2000 of a blockbuster movie with Leonardo Di Caprio: The Beach. A small terrace has been built at the far backend of the beach, offering a superb viewpoint to Loh Sama, a small bay on the other side renowned for snorkeling. Another popular spot on the northeastern side of Koh Phi Phi Leh is the Viking Cave; featuring rock paintings figuring what seems to be drakkars – hence the cave’s name. The cave is habited by swifts which nests are a great source of income for local fishermen.